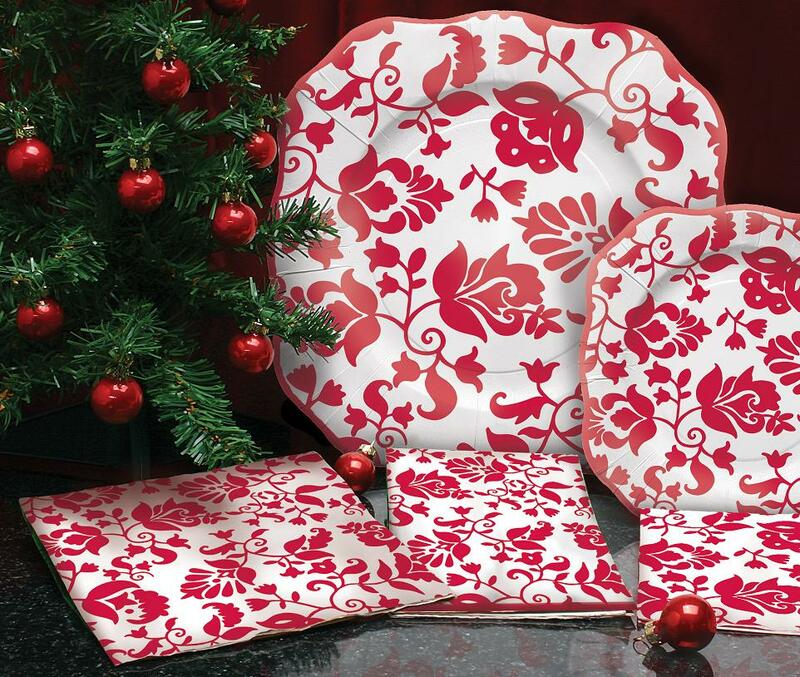 Pretty tableware in a scarlett red floral pattern. 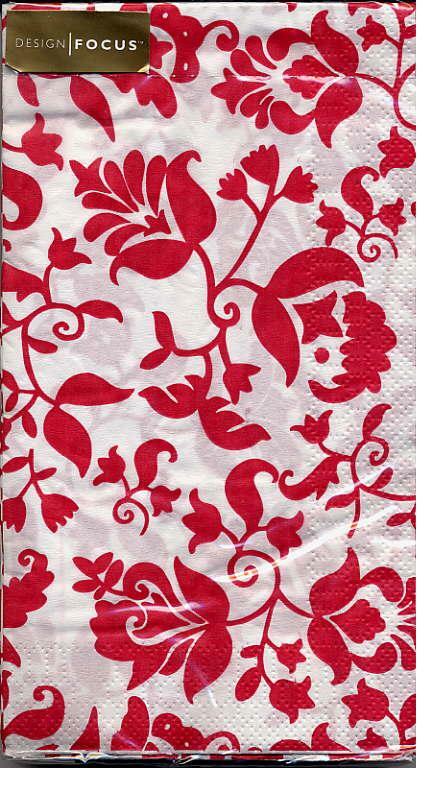 By Design Focus, a division of The Gift Wrap Company. Sorry, sold out of plates. 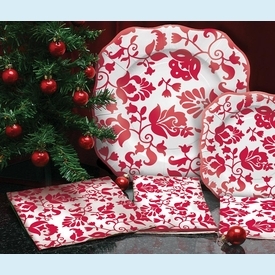 Large Plates, 10" sq., set of 8 - $6.00 NOTE: Only 1 pkg left! 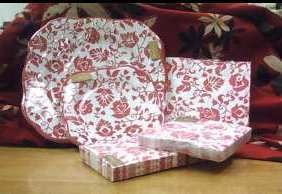 BRAND: The Gift Wrap Co.